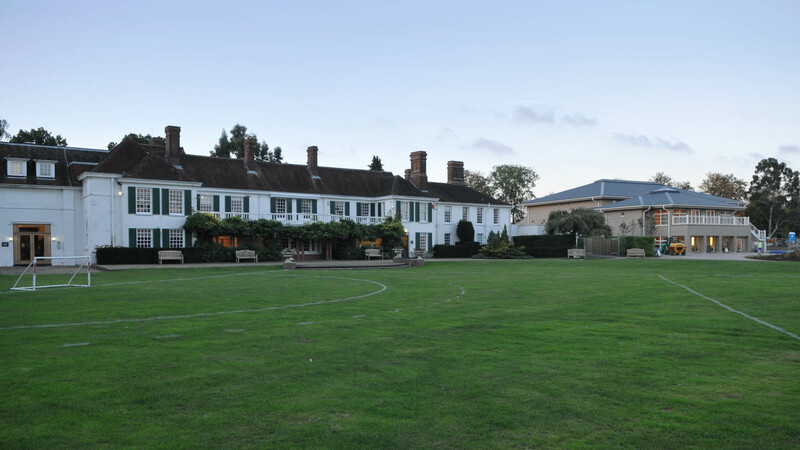 The Performing Arts Centre at Pipers Corner School in Great Kingshill contains a theatre, dance studio, rehearsal rooms and a cafe, and takes pride of place next to the main house on the peaceful rural school site overlooking High Wycombe. 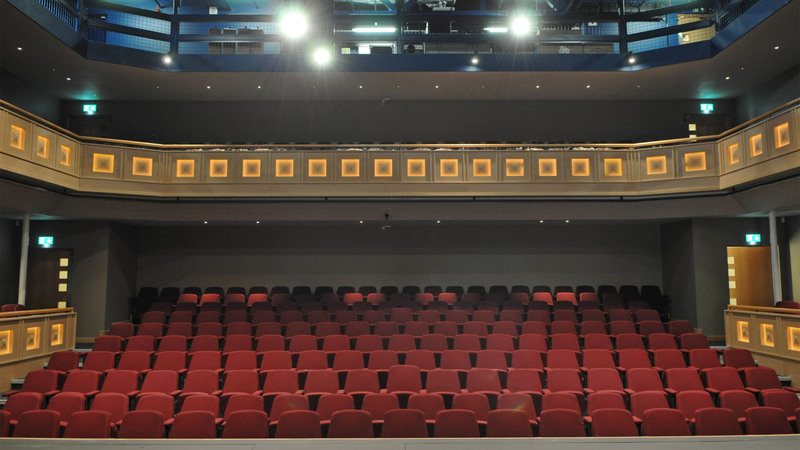 We were appointed at a very early stage of the project for a full acoustic and theatre consultancy service through to completion including specification, procurement and commissioning of specialist theatre packages outside of the main building contract. 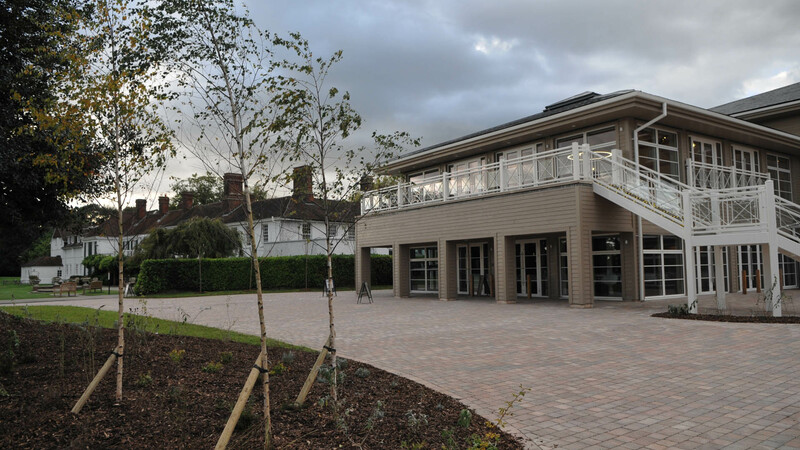 We developed the operational brief with the school and architect Mark Webber and after several layout iterations, an intimate 278-seat theatre form was chosen. 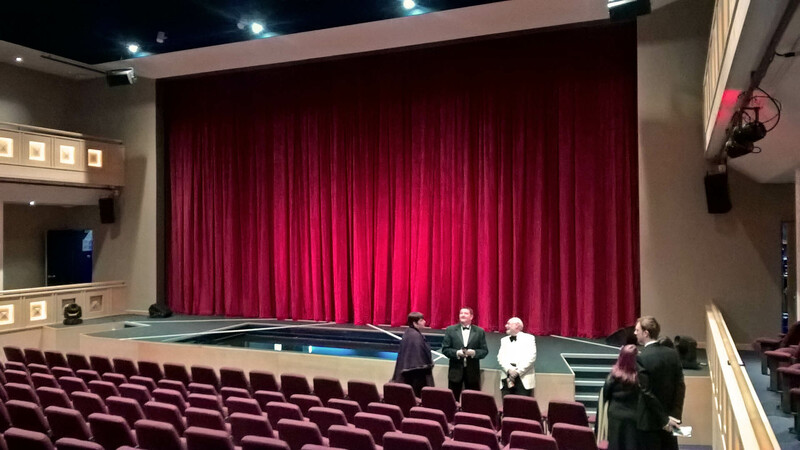 The theatre design offers tremendous flexibility in a very cost-effective manner. 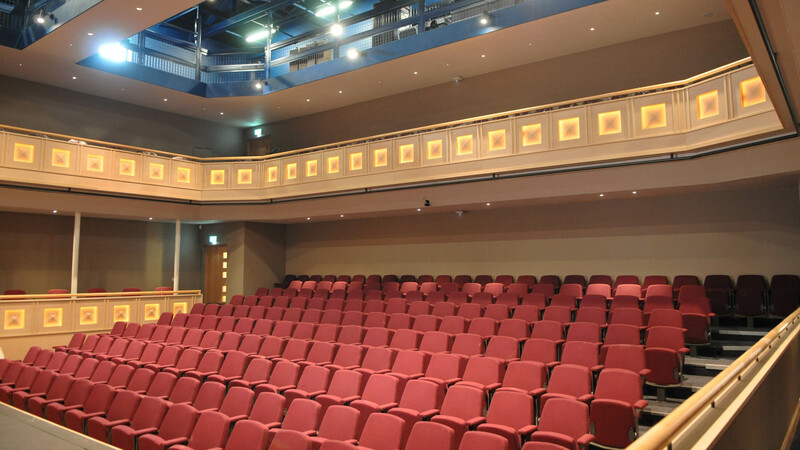 Although the theatre primarily takes a traditional proscenium form, the need for flexibility was identified at an early stage and the stalls pit seating, mounted on simple rostra, can be converted to form a thrust stage, given focus by the courtyard-style balcony, and a flat floor layout for occasional exhibitions and events. Acoustic curtains in the lighting gallery provide a degree of adjustable absorption to compensate for seating removed in thrust and flat floor modes. The stage apron converts economically to form an orchestra pit when required by simply removing rostra panels, and centre-stage traps are exposed in a similar manner. 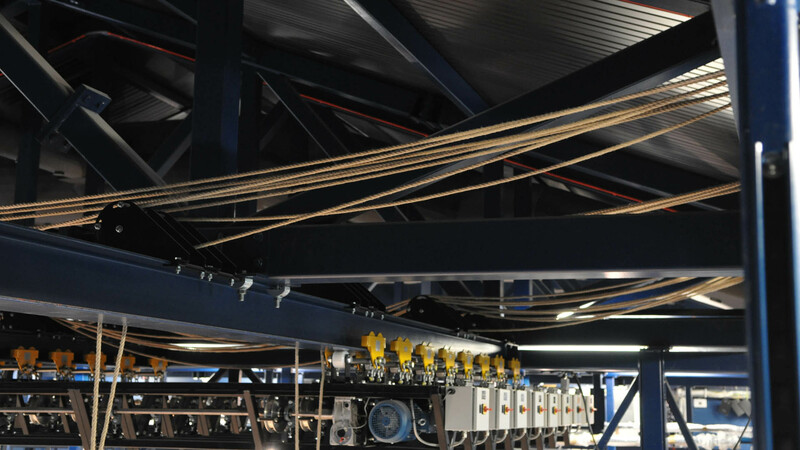 Rather than load the over-stage grid with a dense network of bars, a modest number of innovative tri-band hoists were specified, which can be moved up and down stage to suit the needs of the production. An easily accessible technical gallery at second floor level allows students to safely access the lighting grid for rigging and focusing. The technical gallery also houses the digital sound and lighting control desks. 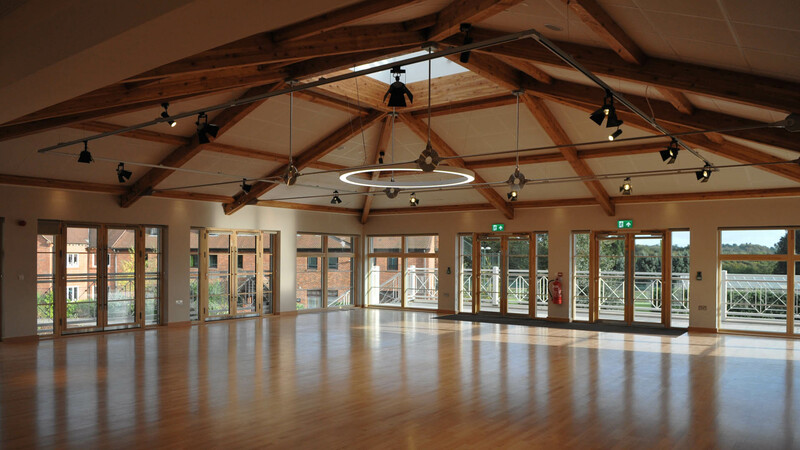 We employed extensive acoustic computer modelling to design the loudspeaker systems for the auditorium, including PAVA loudspeakers, and for the acoustically challenging dance studio. Working closely with the Mechanical and Electrical designers CBG Consultants, we designed an integrated Stage and House LED lighting system which provides an extraordinarily smooth dimming profile. This is capable of synchronised fade-out from 10% to 0% over 20 seconds, which is almost unprecedented with standard controls. We are very proud that this design was shortlisted for the 2017 Lux Awards.